Plan your year with Planapaloozah 2017! and better results next year? Then you need a consistent, proven approach to plan for your business’ success! I know how hard it is to run a business by yourself… in fact, it’s crazy to try to do it off the cuff, without a plan. After multiple attempts at building a profitable business, I finally realized that if you want to have a sense of life balance, you need a consistent way to plan your time and prioritize your tasks daily so you can distinguish between what you have to do and what you are able to delegate to others! and provide direction to others so they can assist you. And finally, I realized that I MUST have a plan to effectively engage and utilize support people in my business. And I know the same goes for you and your business. How do I know? Well, I have had the pleasure of helping hundreds of clients, and talked to thousands of business owner colleagues who are consistently overwhelmed, starved for time, and struggling with planning – so I decided to do something about it myself. And THAT is how the Planapaloozah was born six years ago! 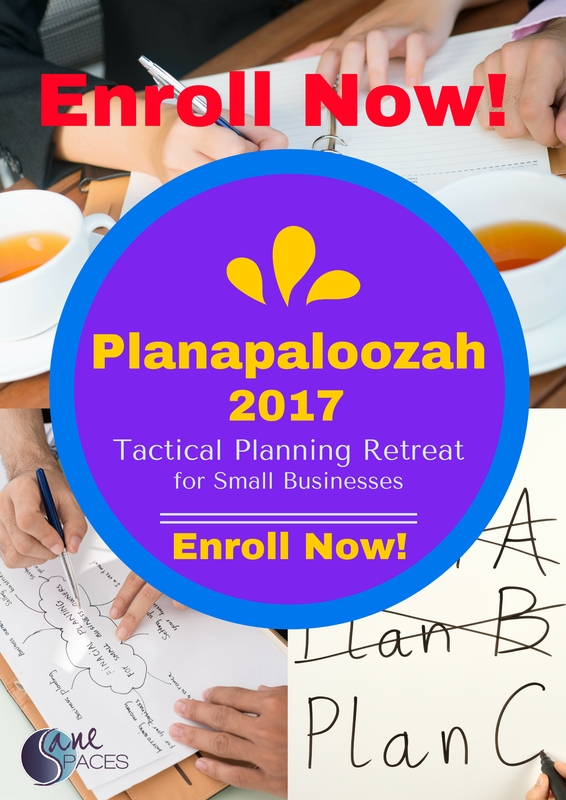 The Planapaloozah 2017 is a facilitated tactical business planning workshop for entrepreneurs and small business owners to complete at their own pace! All your business planning set for 2017? To have reviewed your financial, social, networking, and business results and know what your business targets are by month for 2017? The security that you know exactly what you need to do each month, week and day of 2017 to help you build your business? Your editorial and publishing calendar laid out with everything you need to post, produce and promote by week throughout 2017? The ability to delegate all those non-revenue generating tasks to assistants, interns or helpers so you can be CEO and only focus on marketing and better serving your clients? What if it was all possible to be completed in a private, self-hosted, two-day planning event? It is possible in Planapaloozah 2017 Self-Paced Workshop! 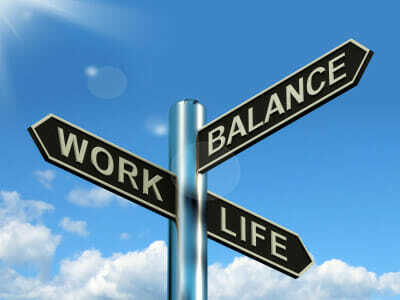 How Does Annual Planning Support Work-Life Balance? One of the difficulties I faced in the early stages of my own business was finding the time to plan. 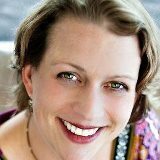 I LOVED launching products, programs and serving clients, but the administrative tasks kept me up at night! I found myself looking at others and asking: How do they do it? How do these people create launch after launch, and event after event – and create a reliable income stream with a client-attractive platform? For years, I was so tired of working so hard (by myself, chained to my computer) without realizing the financial results, that I did something about it! I created the Planapaloozah! 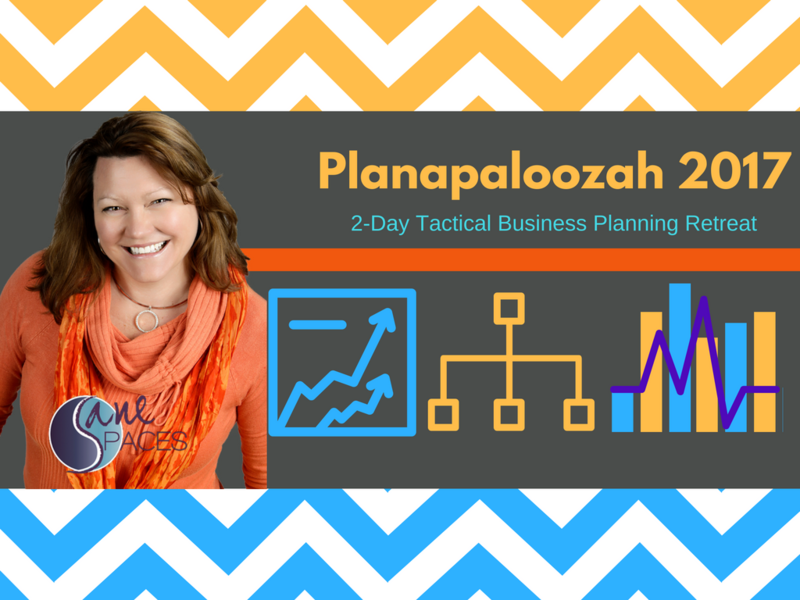 Planapaloozah 2017 is optimal for solo and small business owners, designers, coaches, entrepreneurs, health-care providers, entertainers, work from home business owners, online marketers, and part-time direct sales businesses! If you’re an expert at what you do, have a business and try to do most of your marketing yourself, this is the course for you! Spend two days to get your entire year-in-business tactically organized in two days! This business planning program has been perfected for the small business owner for six years and enrollment fills up quickly. If you're on the fence - just make the leap - and the net will appear with done-for-you templates, modules to walk you through last year's results, gaps and plan your big year. So, don't wait... Grab your place today! There's no stronger way to start off the year with a planning retreat. It's a sweet and sane way to ring in the New Year! Get your life in flow through a thorough and comprehensive business and life plan. Not only will you kick off the year with a great networking opportunity with local colleagues, but you'll also be able to complete any 'unfinished planning tasks' the following week from the comfort of your own home office! How do you plan for your business' success? If you want to ensure your business success, save countless hours managing your business administration tasks, and avoid winging your business maintenance tasks by default, please sign up TODAY! This program provides structure and pacing to motivate you to complete your most important planning tasks by the end of the year! Therefore, you will actually sit down and work through each segment during the webinar. This allows you to avoid distractions and follow the proven planning process we've used with small business owners for years. Setting aside two days gives you the time you need to really go deep and declare your business and marketing strategy for the coming year. And, you'll be able to get (most) of it done in two short days! I designed Planapaloozah after listening to hundreds of clients and colleagues and watching their frustration with everything they had to accomplish! So, I set out to pull out all the stops, engage my 25+ years of corporate management training and design the perfect retreat for small business entrepreneurs. I know you, because I AM YOU! We are balancing busy client work and trying to do the marketing on the fly. Unfortunately, too often this type of lifestyle leads to burnout, overwhelm and low client conversion. Therefore, following a solid tactical plan buys you back your time, keeps you organized and works in your favor for the entire year! But, seating is limited - so enroll today! The retreat is virtual, meaning you can attend from the privacy of your own location... Wherever you are. Going on a trip early in the year? Well, no worries. This program comes with all the recorded sessions so you'll have complete flexibility to get through all the modules and work the content when you can. The module approach allows you to focus ONLY on what you need. As a result, you're able to plan and implement what you want to accomplish next year in small, relevant segments. If you join us for the live retreat, you'll tune in every hour on the hour for the first 10 minutes or so... and then you're off to do the work. The webinar platform stays open to answer your questions and mastermind your strategy. This allows you to focus on your own results, ideas and strategies and go deep. The program content has been perfected over six years! Hundreds of small business owners have worked through the playbook and provided valuable feedback to perfect the planning tools, worksheets and templates. As a result, the Planapaloozah Plan Book will guide you through the entire two day process. In addition, you'll be able to capture your ideas and stay organized! The program is improved every year based on attendees' feedback. So you can be sure everything you get, including the valuable bonus materials are helpful. As a result, you'll lay out your business and life plans by quarter, month, week and even by day that you've got this business on track! Just in case you can't be there the whole time, do not fear! The entire program is captured, and placed in the hub for your review all year long! Whenever you need to stop, drop and revisit your plan throughout 2017, you're safe knowing that everything is there for you just when you need it. In addition to the group program materials, I've developed a Business Productivity Action Pack which includes valuable tools and resources. This bonus material alone is worth the price of the program! In addition to the workshop, you'll have everything you need to make your biz development and administrative days efficient and productive. You'll stay on track with calendars, week-at-a-glance downloadable planners, and monthly tracking tools to help support and celebrate your ongoing results! Private Group for Accountability and Support: Team Planapaloozah! As if the program and bonus materials weren't enough - You'll be invited to join Team Planapaloozah! This group is private and hosts an open forum (available 24x7 because it's full of crazy business owners like you who work all hours... BUT , the good news is, they've all been through the program and will share openly about how to make the best use of your time. Often team members will share new resources, productivity links, tools and hacks to save time all year long! It's your option to join, and it's a great added plus to connect with other business owners who are working just like you! How Does The Planapaloozah Work? Each module is introduced with guided instructions on how to use the worksheets and templates for each module. Then you use that time to start planning for your year! The instructor is there, live (or via webinar), and ready to help you with questions or provide additional resources to help move you forward! There is a support group of other like-minded entrepreneurs there whenever you need feedback, resource ideas, masterminding with other business owners, or brainstorming support. In addition, this group provides you access to live help and advice from others, plus tips and suggestions from Me and other alumni who've worked this content into their business planning process. Since we're all business owners in this group, many members post valuable helpful tips and resources that make life as an entrepreneur easier. And we've got you covered just in case you can't be there for a period of time... all the virtual segments are recorded so you can review them at any time throughout the year, when you need to stop, drop and plan! Here's the 'down and dirty' list of all the things we'll accomplish in your 2-day tactical business planning retreat! All with done-for-you tools, templates and the engaging company of other busy professionals! Review all your analytics from last year - income, expenses, mileage, revenue, costs, and client activities. Generate a list of the incomplete items and unfinished tasks from last year, eliminate what you don't need to do, and set up next steps for what you will accomplish in the coming year. Determine your annual and quarterly goals for business next year. Identify your personal self-care strategies, family time, holidays, special days, celebrations, birthdays and vacations. Use our sanity strategy templates to generate and plan your Blog Posts, Newsletter articles, Twitter, Facebook, LinkedIn, Pinterest, Instagram, Periscope, Blab and whatever else shows up the following year. This module wraps up the first day, and you're set free with a brain full of ideas! Day 2 starts with tactical boot camp to design your editorial/publishing calendar dates for next year! Use our templates stage and schedule your social media publishing calendar. You'll Twitter, Facebook, LinkedIn, Pinterest, Instagram and Blog Posts, but also generate and schedule Newsletter content for the coming year. Identify who will you work with, partner with and align with this year to play a bigger game and make more money next year! How will you honor and nurture your existing clients and keep them happy, engaged while marketing and attracting new clients for next year? Identify and create strategies such as referral and evergreen programs, and client loyalty offers to nurture your clients and keep them coming back next year! Use the Business Administration Bonus Tools to plan your business administration days and establish a reasonable maintenance schedule to keep your business on track, delegate and manage your team members effectively. Use the Life Wheel as a model for balance and happiness, chart your stretch goals for next year to keep you and your family happy, healthy, and fully engaged while running your successful business in 2016. Your tuition includes everything you need to plan a successful year! And if you don't get it all done at the Live Event - Don't worry! Your ticket extends your experience to the 2-Day Virtual Event (and all the recordings) as well! As a part of our Team Planapaloozah Mastermind group, you'll also receive periodic access to proprietary content, downloads, webinars and value-added materials necessary for your success throughout 2017! 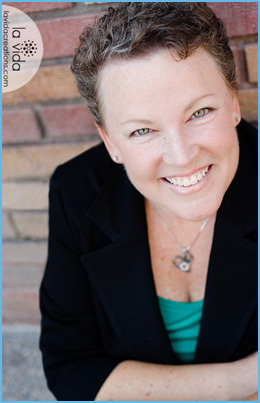 And excellent BONUS materials designed around you - the solopreneur/small business owner - who is trying to do it all!! Don't believe me? Well, here's some solid advice from Planapaloozah Alumni! 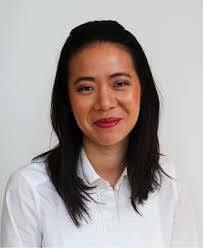 “The program was very valuable for me, in many ways. What I thought I would get when I signed up were: Tools, dedicated time to schedule myself to prioritize important issues, coaching and guidance about the items on which I should choose to focus and a disciplined/structure approach to getting it all executed... and all of those were met, for sure! But my top take-aways actually were: I realized that with a structured approach like this, it really doesn't take a long time to focus on something that seems undaunting, like a social media calendar. This is something I typically either put off or avoid because I feel like I never have time. Don't believe me! Just follow advice from Alumni! just email me privately and I'll refund your tuition, no questions asked. set up and charted out for next year... Join us now! from the comfort of your own home or office! By yourself, or share this with a business friend! Blog Content Planner Template to help you write killer blog posts that increase your website traffic and expertise! Business Development Productivity Checklist to stay focused and task oriented on your admin days - Laminate it and use it every time you have a planning day! Tweet Deck Template (Designed to use in conjunction with Hootsuite Publisher). This Excel spreadsheet automatically calculates tweet character lengths so you don't run over the 140 character count, and more, AND can be used over and over again if you like them. 2017 Planning Calendars the program materials include twenty different styles of 2017 planning templates and calendars to help you customize your planning sessions in the way that feels best for you. Entrepreneur Resource Guide this list contains more than 700 resources including business tools, on line apps and resources for you to help you manage anything in your business. Webinar: How To Use Asana For Business & Life! This webinar will pull back the curtain to reveal my best back-end planning tool that keeps me and the entire Sane Spaces team... Sane! You'll Receive Mastermind Support From "Team Planapaloozah" Our Private Accountability Group that is live all year! All those enrolled become part of a growing private accountability group that remains open all year for questions and support throughout the process. So, after purchase, if you'd like to be a part of this small group you'll be invited to the group (as long as we're already Facebook Friends)! If not, friend me first! No strings attached - and you can unsubscribe whenever the group no longer meets your needs! Listen To More Wise Planapaloozah Alumni! Today I sat down with my new editorial calendar and worked for an hour. I have subjects planned out for a weekly eZine, weekly blog post, adjoining products/services to highlight w/ each, and Examiner articles every 3 weeks, for the last 2 weeks of this year, and the first 2 months of next year! It was so easy, and I can see how the future content creation will flow very easily as well. Thanks for helping me systematize Cena! It will definitely save me time, as well as creating a more cohesive calendar for me that feels under control. What a great way to step into the new year for me! Will You Gift Yourself This Year? Will 2017 be the year you finally invest in yourself, your sanity and your business success? It is nearly impossible for solo and small business owners to do everything themselves! Not only is it difficult to be great at everything you do, you still need to serve your clients, create and service your products, and be accountable for all your business marketing and sales. Planning is a huge gap for most entrepreneurs!In fact, there are just not enough hours in the day. So this coming year, don't hold yourself hostage to your business planning and marketing all year long. Rather, join this program and get the heavy lifting out of the way early in the year! To get all the benefits from this program, most participants say they'd pay double or triple, but I wanted to help you stay accountable to yourself, and give you a level of support and direction, I wanted to offer this opportunity for a no-brainer YES! Click here for the inside scoop on the program. 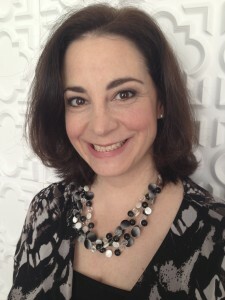 Dori DeCarlo, host of The Mompreneur Model Show on Word of Mom Radio interviewed me about the program. In summary, I think you should do this and simply invest in yourself! Join me for the Planapaloozah this year! It's totally worth the time and effort, and you will be so happy you spent the time planning for all the time it saves on the other end. And, to top it all off, this one-of-a-kind planning program is already done for you! Don't go it alone this year. Enter the year with a solid strategy to create revenue, get organized and systematize your work and tasks so you can get more done, delegate tasks to others, and free up your time to do more revenue-generating work! PS - Take advantage of the support, direction and ease of having all the planning and tools available to you to get your business on the right track this year! Don't delay - act now! ©2013-2017 Sane Spaces, LLC, All Rights Reserved. No part of this program may be reproduced, stored in a retrieval system, or transmitted by any means, electronic, mechanical, photocopying, recording, or otherwise, without written permission from Cena Block or Sane Spaces, LLC.